The trilogy begins during the cold, dark autumn of the Kreuger Crash in 1932, while the finale takes place four years later. In each of the novels, Harry Kvist gets caught in the crossfire between powerful groupings and has to fight to survive. Over the course of the trilogy, his own tragic fate is also revealed. 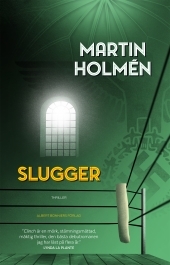 In SLUGGER, our hero uncovers a fascist plot to seize power in Social-democratic Sweden. At the same time, he regains contact with his lost daughter in America. But is he prepared to give up everything in order to see her again?